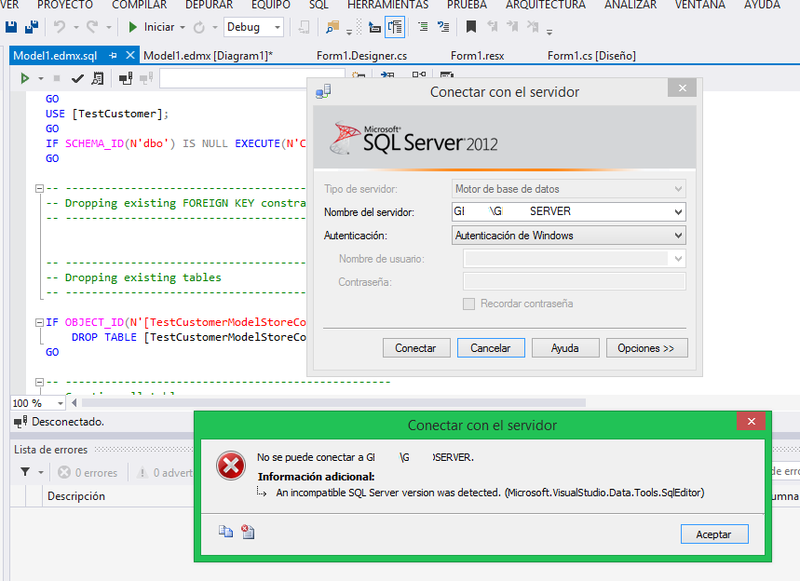 An incompatible SQL Server version was detected. One of my students upgraded recently from Visual Studio 2012 to Visual Studio 2013, after that he tried to generate a DDL script for SQL Server from an Entity Framework model. However, he received the following error message from VS 2013.